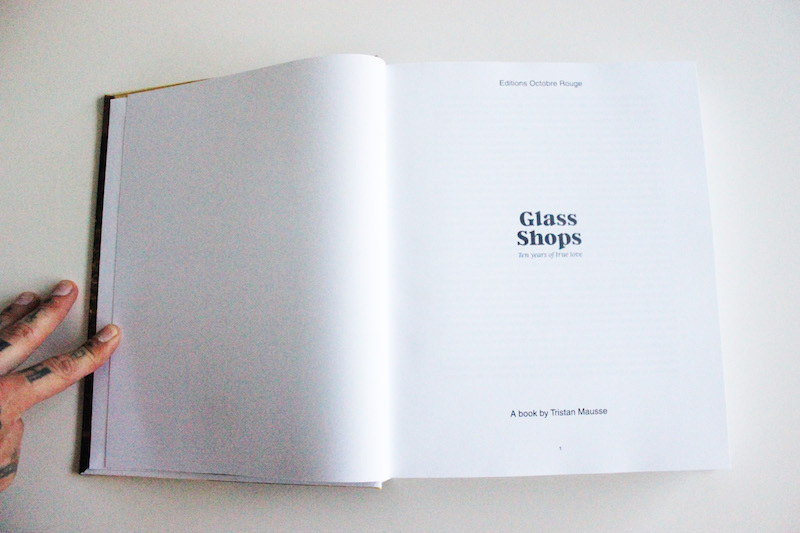 “Glass Shops-Ten Years of True Love” is stunning. Instantly, it feels like a lovingly created Bible of traditional surfboard factory documentation. Birthed start to finish, by my good friend and master surfboard builder, Tristan Mausse. Tristan is one of the “Lucky Bastards” from France, two young board builders that I was fortunate to stumble upon while working at the Pukas factory in Europe. These “kids” subsequently had a huge impact on relatively recent renaissance of artisan surfboard glassing and construction over the last decade. The Lucky Bastards were instrumental in the graphic direction of …Lost and their influence is even more widespread. Paul Le Fluere, Tristan’s counterpart (and quite possibly the most talented surfboard craftsman I have ever worked with) has inspired hundreds upon hundreds of board builders to delve back into the classic art form of resin tints and treatments. Tristan took the time to document the era while traveling the globe, building boards, and working in glass shops wide and far. Many factories were visited while working on assignment for …Lost including Brazil, Australia, Bali, Europe, and of course, the iconic Catalyst factory of ours in California (which graces the cover) and more. 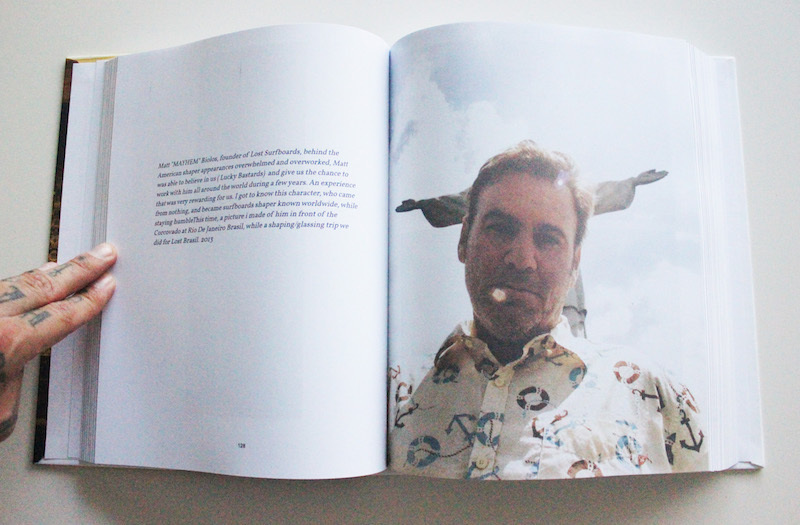 The result of his documentation is this incredible book…a monstrous feat. 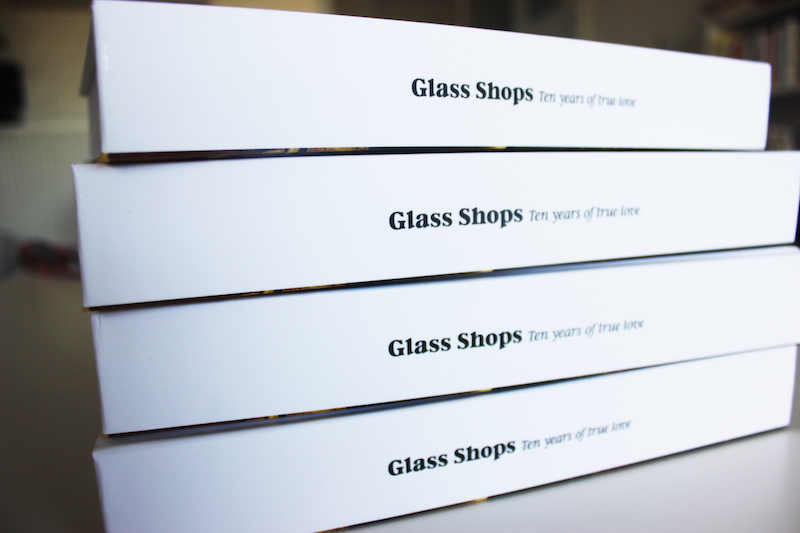 Displaying 480 pages and featuring over 1000 photos…it’s absolutely stunning. I dare call this a masterpiece and a love story (a labor of love, that is). Celebrating the often dirty, non-glamorous, but integral, and possibly most prolific and unflinching/unchanging side of surf culture…Glass Shops! 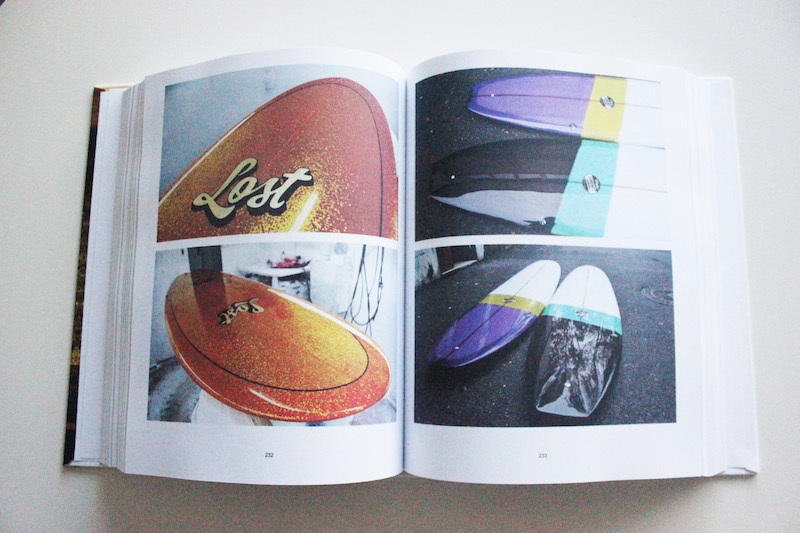 For anyone with a keen passion for surfboards , this book is a must. 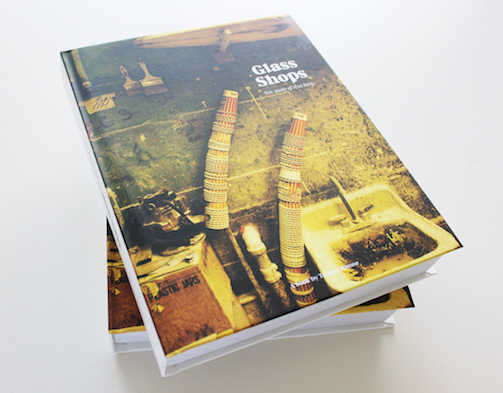 “GLASS SHOPS” is a book of 480 pages with over 1200 pictures. Traveling workshops manufacturing surfboards around the world.